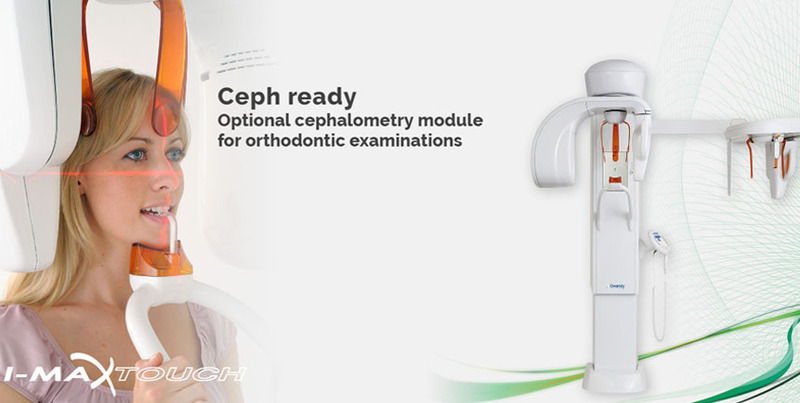 The latest generation of I-Max panoramic systems is now here at Oral Confidence Orthodental Clinic Pasig Branch: I-Max Touch Pan-Ceph. Its sleek, sophisticated and lightweight design makes this system an attractive and valuable. 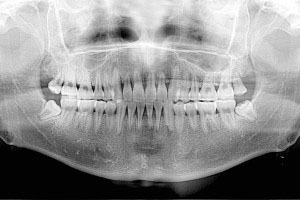 With the I-Max, patients will experience ultra-high definition images in every X-Ray. Owandy Radiology is a leading European manufacturer of dental radiology and imaging software. Owandy hardware and software are used by nearly half of the practitioners in France. Their range of digital radiology solutions is supplied to dentists in 50 countries, on every continent. Have a confident smile and attract more good vibes! 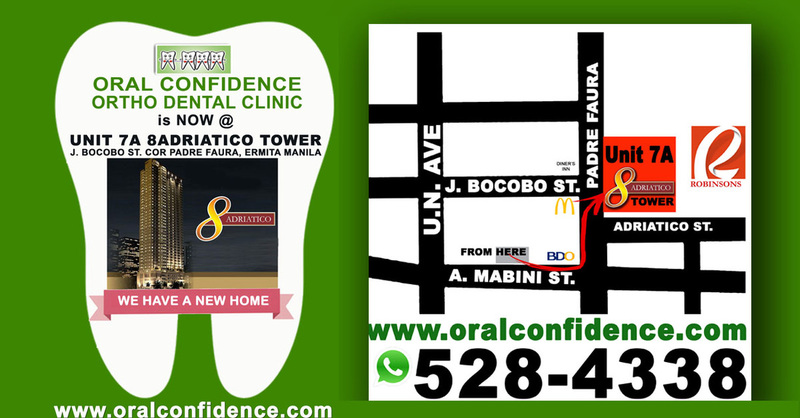 Visit the nearest Oral Confidence Ortho dental Clinic branch near you! Call +632 948-7677 or +63918-599-9393. Periapical xrays are available in all Oral Confidence Orthodental Clinic Branches (Marikina, Pasig, & Manila). The panoramic and cephalometric xray is available at Pasig branch. J.Bocobo St., cor Padre Faura St.
Click to view clinic map. 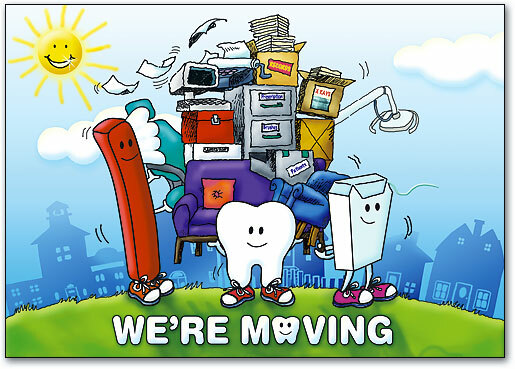 We are moving Oral Confidence Orthodental Clinic Manila Branch to a more cozy and luxurious place. ​We look forward to seeing you soon at our new location this April 2016! Have you heard about the Law Of Attraction? Here is a list of the Top 10 quotes about the Law Of Attaction (Law Of Love) collected from The Secret book by Rhonda Byrne, The Bible and other books. We hope you will enjoy the Law Of Attraction quotes. Zirconia is used in many other medical applications such as artificial joints and is known for its strength and durability. Zirconia is a type of crystal which is long lasting and indestructible. There is no fear about the body rejecting zirconia or displaying an allergic reaction to it. It is safe to use and preferred by many people to porcelain fused to metal crowns. Strength: zirconia crowns last longer than other types of crowns. Aesthetics: these crowns have an attractive translucent colour which blends in well with the other teeth. Retain more of the existing tooth: minimal preparation is required which means more of the original tooth is preserved. This is useful if the crown needs to be removed. So, a good choice if you are looking for a strong, long lasting and visually appealing crown. They are ideal at covering signs of damage or staining as well as helping to maintain the function of the tooth. HOW IS A ZIRCONIA CROWN FITTED? The process is similar to that for other crowns. It involves two stages: preparation (first stage) and the fitting of the crown (second stage). The first stage is where your teeth are assessed and measured for a crown. The dentist will discuss the procedure with you before preparing your affected tooth. This preparation involves the cleaning of the tooth before reshaping (which reduces its size) with a small drill. A small sliver of tooth is removed under a local anaesthetic which ensures that the tooth is the correct shape for the crown. A mould is made with dental putty which you will be asked to bite into. This is used as a guide for the production of your new crown at a dental laboratory. The second stage is where you will be fitted with your new crown. The tooth which will receive this crown is roughened with a special dental acid which scratches the surface and increases the bond between crown and tooth. The crown is then fitted onto your tooth. The dentist will check its appearance and fit before cementing it into position. It is then given a final polish. A zirconia crown must be cared for in the same way as your natural teeth. For these advantages and more, make an appointment with your dentist today. Prevent cavities. The whitish film that builds up on your teeth is called plaque and is the leading cause of tooth decay. This acidic substance eats away at the tooth enamel and, if left unattended, can lead to cavities. Plaque can be removed by brushing, flossing and dental cleanings. Stop tooth loss. Gum disease, which starts with built-up plaque, is a major cause of tooth loss in adults. As gum disease advances, plaque moves further down the tooth where it can destroy the supporting bone in your jaw, causing teeth to loosen and fall out. Luckily, the chance of this happening to you can be greatly reduced through regular dental cleanings combined with good oral hygiene habits. Brighten your smile. Drinking coffee, tea and wine or using tobacco can stain your teeth. A dental cleaning can remove built-up stains and leave you with freshly polished teeth. The result? A whiter, brighter smile! Freshen your breath. Good oral hygiene is the best way to prevent persistent bad breath. Even if you brush and floss regularly, getting a cleaning is a great way to keep your mouth healthy and odor-free. Boost your overall health. Studies have shown a connection between oral and overall health. Regular dental cleanings may help lower your risk for some diseases, like heart disease and stroke. Many medical conditions, some of them life-threatening, can be detected in their early stages by your dentist during a routine oral exam. Save money. Get the most value from your dental benefits. If you take advantage of your benefits now, you may be able to save money in the long run by helping to protect your oral health and potentially avoiding more costly and extensive procedures. People often ask us "Why do I need braces?" or "What are the benefits that make the cost and time worthwhile?" We have prepared the following list of benefits that patients derive from orthodontic treatment, as documented in scientific studies and from our personal experiences. A great smile always gives a great first impression! Our smiles are a big part of our identity and how we are perceived by our peers. 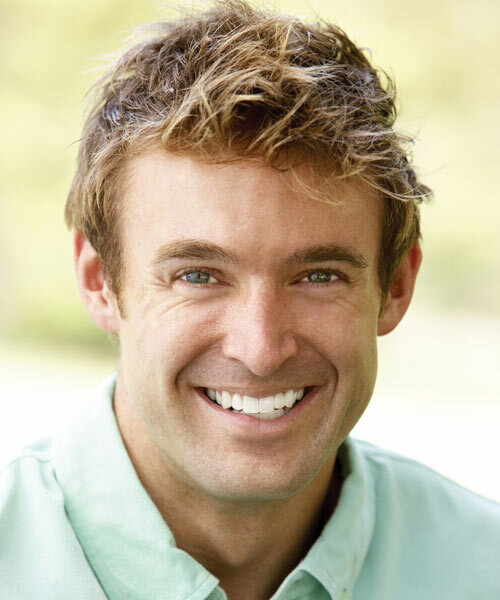 Improving your smile is one of the most valuable investments you can make to improve your overall appearance and self image. A beautiful, bright smile not only makes you more attractive, it can actually help you look younger and make a better first impression. So whether you're getting ready for a job interview, a first date, or even your wedding, here's how to make sure that your smile is working for you! Is it The kiss? The smile? The br﻿eath? What’s Most Important to You? Chances are it’s good breath. Let’s get personal. Bad breath (halitosis) may be common in dogs -- but for people, bad breath affects how you feel about yourself, not to mention how others perceive you. In fact, you may not know you have halitosis until a brave friend tells you. How can you tell if you have bad breath? A simple way is to stick a clean finger in your mouth and scrape saliva from the back of your tongue. Put it on the back of your hand, wait a minute, then smell your hand. Is it something you’d want to kiss? If not, check out these 13 tips about causes and cures for bad breath. Start freshening your breath today! Competing in a beauty pageant? A perfect smile is as much of a requirement as the gowns, hairspray, lipstick, and poise. All aspiring beauty queen has to be groomed on how to smile, how much to smile and how to present their smiles before the camera. "A confident and radiating smile is a sureshot way to win hearts." Braces act like magnets for food, so you need to keep your teeth especially clean while you have them on. 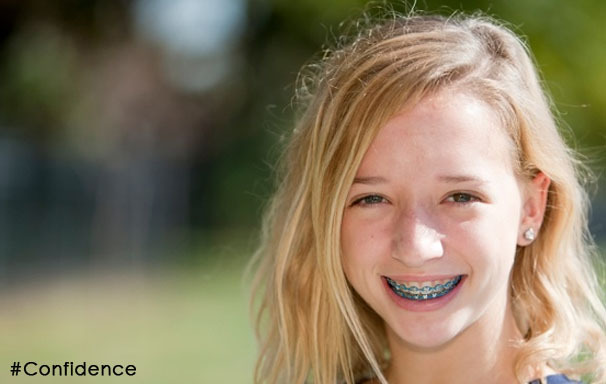 You'll want to brush after meals and be extra careful to get out any food that gets stuck in your braces. Your orthodontist also may give you a special flosser you can use to floss in and around your braces. When your orthodontist changes your wires, ask if you can do a quick floss (it'll be easier without the wires). At Oral Confidence Orthodental Clinic our passion is designing beautiful, healthy, and comfortable smiles. Oral Confidence Ortho Dental Clinic © 2018. All Rights Reserved.